This breakfast morning event will see Jack Teeling of Teeling’s Distillery share his journey of success with the audience. Jack will examine pitfalls that the Teeling family faced along the way, key tips on what to avoid, what to embrace, and most importantly how to succeed in the food and beverage sector. Dublin Food Chain is a collaborative initiative of Local Enterprise Offices in the Dublin area. The Dublin Food Chain is part of an ongoing effort to harness the power of the 'collective', in order to ensure that Co. Dublin's unique food heritage benefits from the attention it deserves. Whether, it is through training, networking or collective marketing, our key aim is to work together towards promoting our valuable food sector. Dublin Cookie Co. produce American style cookies with the best Irish ingredients. Stay up to date on the latest developments, news and events in the Irish Food Industry. Members also receive regular newsletters . 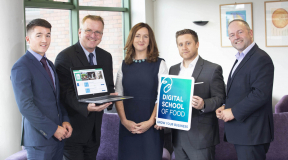 A new ‘Digital School of Food’ has been launched in Dublin this year, aimed at attracting a new stream of food start-ups and helping them succeed. 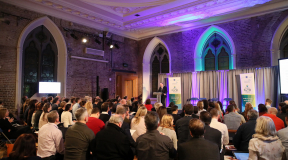 An initiative of the Dublin Food Chain and the Local Enterprise Offices in the Dublin region, the online programme is the first of its kind in Europe, giving food entrepreneurs access to expert advice from their own home or office. What is the Dublin Food Chain? The Dublin Food Chain is a marketing and networking forum that represents many of the outstanding food and drink producers, retailer,& distributors that are based throughout Dublin City and County. We help our members grow their food sector business through new sales contacts, networking, training, and agency support! Why not join our dynamic food network today! 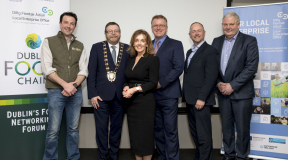 The Dublin Food Chain network is dedicated to cooperation within the Dublin food sector, as a means of increasing members' profiles, and increasing sales opportunities, for food products from across Dublin County. 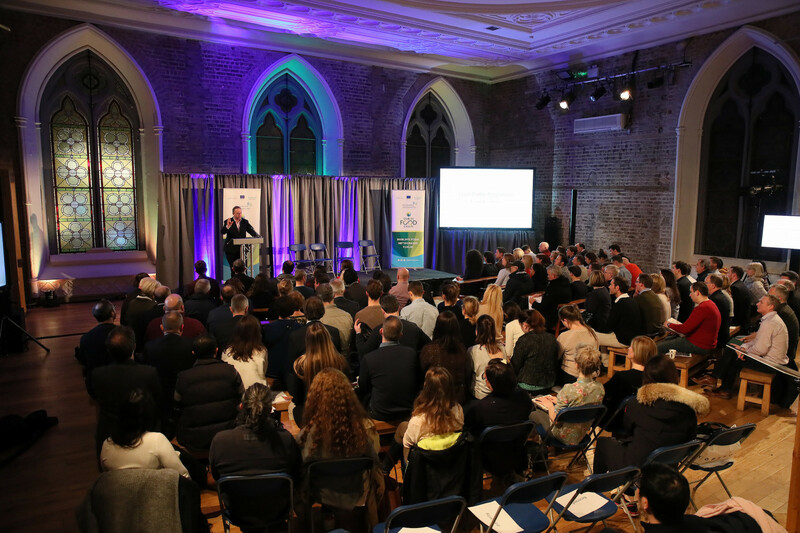 This high-energy seminar saw three of Ireland's leading food entrepreneurs share their journey success with the audience. Each examined pitfalls along the way, key tips on what to avoid, what to embrace, and most importantly a recipe for making a food business profitable. All three speakers are pioneers within their own category, each shared their success stories with the audience. Local Fingal producers will also showcased their products at a networking event ahead of the seminar on the evening. Dublin Food Chain London Market Research Trip. Join Dublin Food Chain now and get access to all the latest news and events for food producers in Dublin.